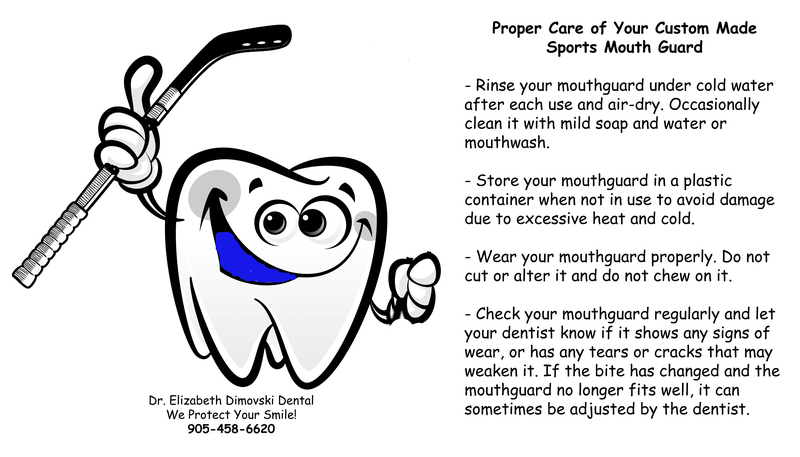 Rinse your mouthguard under cold water after each use and air-dry. Occasionally clean it with mild soap and water or mouthwash. Store your mouthguard in a plastic container when not in use to avoid damage due to excessive heat and cold. Wear your mouthguard properly. Do not cut or alter it and do not chew on it. Check your mouthguard regularly and let your dentist know if it shows any signs of wear, or has any tears or cracks that may weaken it. If the bite has changed and the mouthguard no longer fits well, it can sometimes be adjusted by the dentist.